Korean Air helped rescue Czech Airlines in 2013. 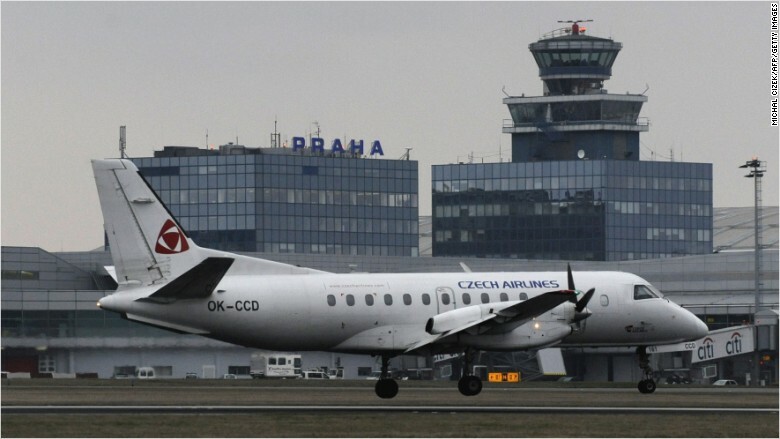 PRAGUE - Czech air company Travel Service said Friday it would take over Czech Airlines (CSA) after buying a 44-percent stake from Korean Air and almost 20 percent from the Czech state. "Travel Service currently owns 34 percent of CSA shares. After the transactions, it will become a majority 97.74-percent owner of CSA," Travel Service spokeswoman Vladimira Dufkova said. The state would have five days to reconsider the sale of its stake. If it decided not to sell, Travel Service will own 78.74 percent of the airline. "The goal of the acquisition is to build a strong air company running a fleet of 70-80 planes," said Jiri Simane, board chairman at Travel Service, whose 49 planes fly under the SmartWings brand. South Korean flag carrier, Korean Air, bought its 44-percent stake in the then loss-making CSA for 2.64 million euros ($3.08 million) from the Czech state in 2013. With a fleet of 18 planes, Czech Airlines has undergone restructuring under Korean Air and Travel Service after years in the red. In 2016, it posted net profit equivalent to almost 10 million euros. Owned by the Czech Unimex Group and by Chinese investment company CEFC as a minority shareholder, Travel Service said it expected CSA to post a profit for the third year in a row in 2017. In the first half of 2017, CSA raised passenger numbers by 22 percent on an annual basis to nearly 1.2 million. Travel Service, which had about 50 planes in the summer, registered 1.7 million passengers in the first half. Czech air company Travel Service said Friday it would take over Czech Airlines (CSA) after buying a 44-percent stake from Korean Air and almost 20 percent from the Czech state.